Naomi McCann is a licensed aesthetician with a passion for supporting her clients to achieve optimal health in Body, Mind, and Spirit. Her treatments always include a unique blend of Naomi's positive vibrations, loving touch, and attention to detail. She customizes her approach by incorporating Reiki and energy healing. Additionally, Naomi has extensive experience facilitating fashion shows for top runway designers, and is also a makeup artist. She is a devoted yoga practitioner, certified Life Coach, long time Transcendental Meditator, Home Educator, and mother to her three amazing children. 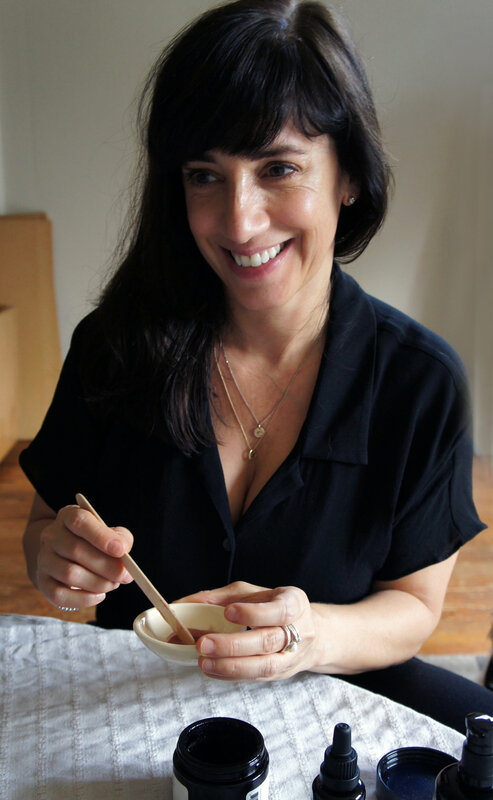 In addition to her private practice in NYC and the Hudson Valley, she currently treats clients at Woodstock Healing Arts in Woodstock, NY, Menla Mountain Retreat, and the Omega Institute in Rhinebeck, NY. Naomi feels honored for the opportunity to share her gifts to contribute to the health and healing of her clients, and of the planet as a whole.